Lenovo is set to introduce a new version of its ThinkPad mobile workstation called the ThinkPad W700ds at CES in Las Vegas next month. A smaller, secondary (netbook sized) 10.6-inch screen sits alongside the main 17-inch display in what Lenovo designers call a "pocket door" configuration, offering useful dual-monitor support, perfect for Photoshop or CAD work in particular. DS - as with Nintendo - is short for "dual-screen", with the new Lenovo set to be marketed to digital creatives such as professional photographers, designers and the like. 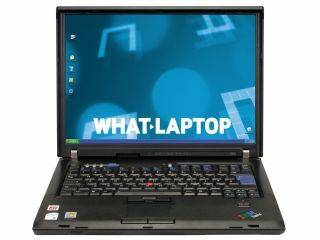 Users will get a choice of processor with the ThinkPad W700ds – either the more costly Intel Core 2 Quad processor running at 2.26GHz or the Intel Core 2 Extreme X9300 chip. Other specs include an Nvidia Quadro FX 3700M graphics processor, 8GB of DDR3 (double data rate 3) RAM, dual integrated hard disk drives that can be configured in a RAID array, three video ports that support dual-link DVI (Digital Video Interactive), Display Port and VGA, allowing for multiple displays when using a docking station. "People that use high-end computers, whether they are professional photographers or work in other fields, all use two displays at their desktops," claims a Lenovo rep.
"What we were trying to do in building a mobile workstation is give them the same experience. Not only do you need a great display, great graphics, great processor and RAID hard drive with a workstation, but it is hard going back to a single display mode." Lenovo is still to confirm release dates, pricing and more – expect full updates from CES in January.